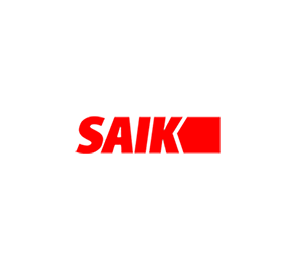 SAIK BOXinBOX system is an offer for the institutions with the highest standards of safety. In the deposit safes of this type, keys or other valuable items are stored in sealed containers, which are inserted to individually locked and supervised safe-deposit boxes. Selected as a main module or operating under control of another device, ranging from 1 to 300 containers in a single device. Made from powder coated steel, esthetically pleasing containers provide protection of the profile and of the working surface of the key. In addition to that, the containers can be sealed with a personal seal of an authorized user, who can open it in a separate room, without a possibility for any third parties to see the contents. Containers can be returned to any safe-deposit box, because they are equipped with individual identifiers and thus identified by the deposit safe. 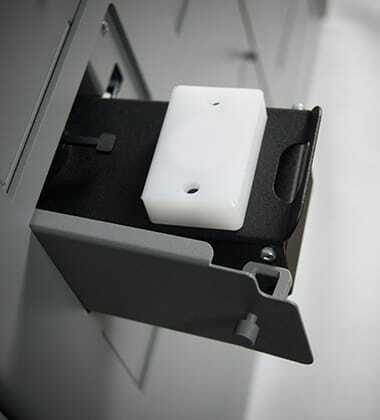 Keys stored in the containers can be permanently connected with electronic rings, which makes it possible to permanently monitor the keys deposited in the device, together with the precise information as to the location of the keys in a particular container and safe-deposit box. Similarly to other SAIK system devices, BOXinBOX system permanently records all the events related to safe-deposit boxes and keys.